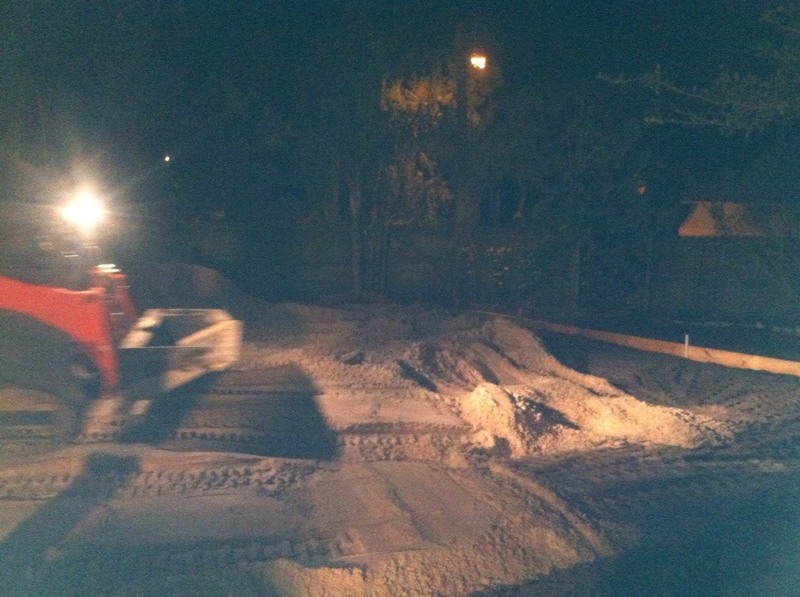 If you are on the fence of whether or not to build a sand volleyball court in your backyard, hopefully this article can help you to decide if you are ready to undertake this logistical and seemingly overwhelming task. Start by making sure you have adequate space. 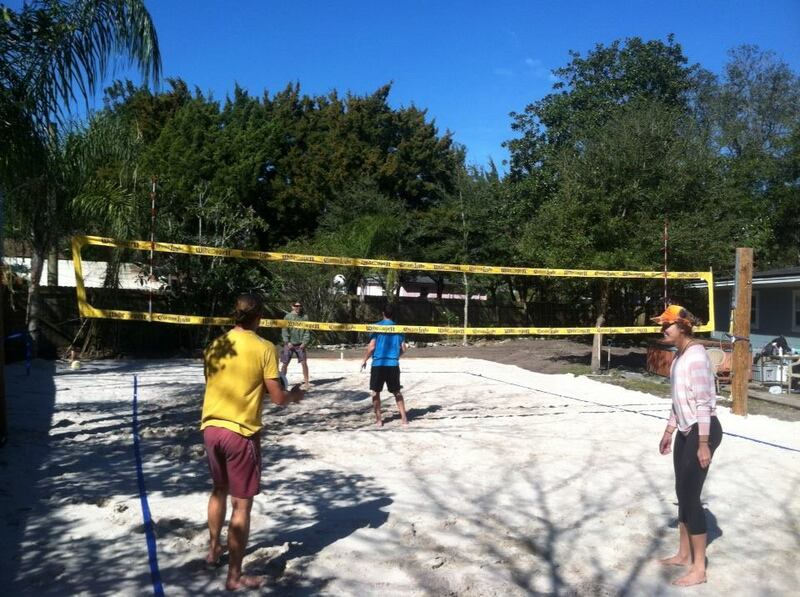 We know a 2 vs 2 beach volleyball court lines are 26'3"x52'6". What we might not consider is how much space is needed outside the court lines. If you want to follow USAV specs, you need to have 3m (9'10") of free space outside the volleyball court lines. That being said, you do not have to have that much space, but if you do not have at least 5' in all directions free from obstruction, I would think twice about this project. We did not execute this perfectly by any means, but if you are reading this, learn from my mistakes. 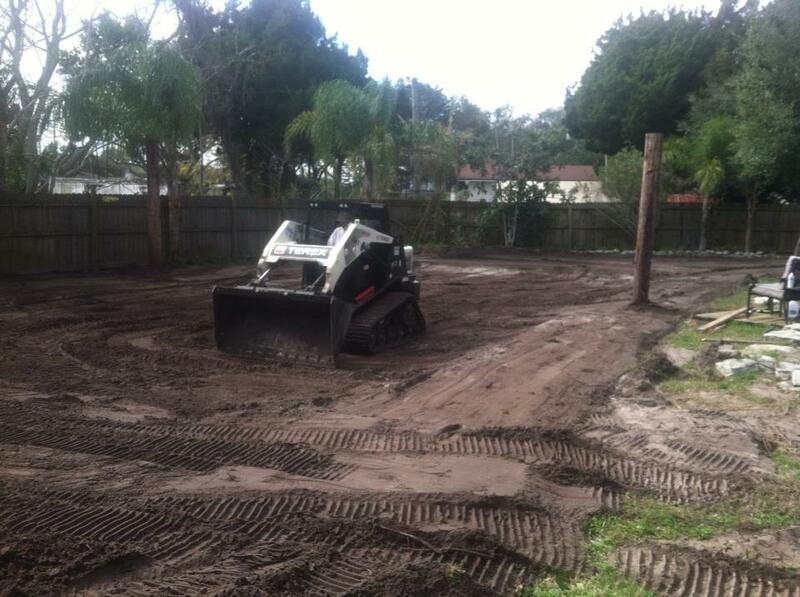 1st mistake - If you rent a bobcat (around $150 for the day) get one with tracks, not wheels. This is important!!! 2nd mistake - If you have never used a bobcat hire someone to dig the court our for you. There is a very precise method to working one, and I have a new a ndvery profound respect for the people that can manipulate this equipment. I promise it will be a waste of time and money if you think you can hop in and do it. Inside the court lines we dug our pit approx 14" deep. We tapered the pit to 8" deep outside the court lines since most of the game is played inside the court lines. This saves a sizable amount when purchasing sand. If you are resourceful, contact your local utility company. When telephone poles get to old, they take them down and have no real use for them anymore. The telephone pole was free, I just had to cut it in half and transport it to the house (might not be an easy feet). After cutting the pole in half we had two 14' poles. We hand dug holes 5' deep so that 9' of the poles were sticking out of the ground. Cement was not used or needed. Take the bucket off the bobcat and use a car tow strap to tie one end to the pole and the other end to the fork of the bobcat. You just need to hand guide the pole into the hole. At some point it's nice to be able to get a visual to make sure everything is looking good. Also, don't forget to check if your court will need drainage!!! This sand volleyball was built in Jacksonville Beach, Florida. Most of Florida has limestone bedrock which is great for natural drainage. Make sure to test it out regardless and run a hose of water into the court pit to see what happens to the water (Does it puddle? Does it run towards one corner? Do you need to consider installing actual drainage?). Two years running and outlasting Hurricane Matthew, this court has never held water. Important Note: We did not add any dirt/sand separator or cloth. Once this cloth starts to come up through the sand, there is no way to get rid of it, and you can really hurt yourself on this. It just takes some light landscaping and weeding on the perimeter of the court. Also, you can spray a mixture of salt, vinegar, dawn dish detergent and water to keep your court non-toxic and free from growth once or twice a year. The metal halide came with a 2" or 2 1/2" slip fit and is mounted on top of 20' of galvanized steel poles. The 100 watt LED's are mounted on 20' or 3/4" galvanized steel poles. Note: I tried going with two 500 watt halogens, which did provide enough light and they were economical, but I was changing the bulbs once or twice a month, and that's no easy chore when they are mounted 18' in the air. To mount brackets for your net is very simply. Don't spend money on metal net systems that will rust in 6 months outdoors. Below is a pick of all you need. It will last longer and work better than pre-fab outdoor net systems. Sand and transport of the sand will undoubtedly be your most expensive cost. I was able to get A3 construction sand delivered at $625 for a 20 ton truck load. This pit took 7 loads (140 tons) to fill which equals $4,375 for the sand and delivery. The sand itself cost about $2,400 and the transport costs about $2,000. If you are able to beat that price you are doing well. Research all local sand mines. No matter who you buy the sand from, it probably comes from your local mine. Try to eliminate the middle man and purchase directly from them. Pictured above, a friend and local landscaper, took about 45 minutes to spread and level all the sand. Make sure you coordinate the pit to be dug, sand delivered, and spread all in one day so you don't have to rent the bobcat for 2 days. By the time it was all said in done to do it right, but being extremely resourceful, it will be about $6,000. I hope this helps because I know it was difficult gathering info was I was trying to build it. If you have any questions, let me know.